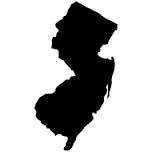 This post out, we return to recent legal happenings in New Jersey, where state officials are continuing in their battle to find a workaround to the United States’ long-standing federal-level ban against most forms of sports betting. It’s been a very busy few days on the Jersey front. NJ Congressman Frank Pallone has urged the House of Representatives to conduct an investigative hearing into the legality of daily fantasy sports. DFS itself is a workaround to the US’s PASPA statutes, although one that would compete in a market sense against New Jersey’s existing gambling businesses, and Pallone’s call is one of several forms of pushback against the DFS onslaught. Pallone’s battle is energetic — and, frankly put, well-justified — but it’s not the front that’s likely to produce the changes needed to finally gut America’s onerous PASPA law once and for all. Instead, it’s the continuing legal challenge by the state of New Jersey to the PASPA ban that refuses to go away. When last we checked, New Jersey officials had just received another legal setback, the latest in a long string: The US Third Circuit Court of Appeals had upheld PASPA in a 2-1 decision against New Jersey’s efforts, leaving in place a lower-court ruling in favor of PASPA and the US’s major sports associations that New Jersey’s latest attempts to allow limited sports betting were in fact a circuitous way to “regulate” sports betting in violation of PASPA. It’s true that such a circuitous maneuver was indeed New Jersey’s aim, but it’s also true that a similar ruling in New Jersey’s previous legislative assault on PASPA was exactly why the state chose the path it did. 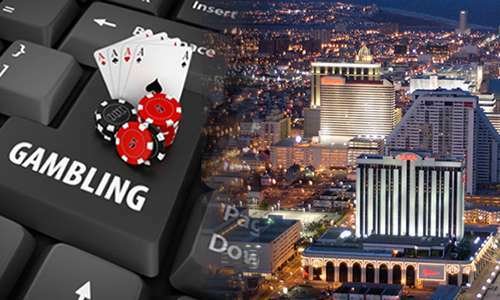 In an earlier case, which also went the leagues’ and PASPA’s way and which also climbed the appellate ladder, the final ruling indicated that New Jersey could indeed attempt to draw its own limits as to where it regulates or bans certain gambling activities. PASPA’s core ban aside, the latest 2-1 appellate ruling is the exact opposite of that offered in the earlier case: The latest ruling says that any workaround attempted by the state is automatically in violation of PASPA, while the earlier ruling said just the opposite. While appeals courts are known for their not wanting to write decisions that can imperil standing federal law, this sequence appears untenable — the feds and the leagues are having it both ways, admiring their metaphorical PASPA cake while eating it too. As we noted when the appellate ruling was released, the state had two legal options remaining, both of them statistically very slim. One is to file for an en banc hearing of all Third Circuit appellate judges, instead of just the three that heard the case, and the other is to ask the US Supreme Court to accept an appeal, which is ordinarily the path of last resort. Both paths are unlikely in normal circumstances. The US Supreme Court grants writs of certiorari in less than one percent of the cases submitted to it for possible review, and the percentages regarding en banc hearings are even lower. Since en banc hearings are essentially a review of one’s own review (the appeals court ruling), such an acceptance of a petition is extremely rare. It varies from circuit to circuit, but in the Third Curcuit, granted en banc hearings represented only 0.03% of the circuit’s entire workload. That represents a 3-in-10,000 chance, but very few cases are actually submitted for en banc review; perhaps it’s another one-percenter or half-percenter when the hard-to-find petition totals are calculated. Only a couple of such hearings are granted each year. Still, there are indications that New Jersey’s filing for an en banc review might be granted in this case. According to the Meadowlands Matters blog, which tracks many New Jersey-related gambling issues, the Third Circuit’s twelve active appellate judges have given notice to the leagues that they have until September 29th to reply to the en banc motion, which was filed by the state and another of the case’s plaintiffs, the New Jersey Thoroughbred Horsemen’s Association, as to why the leagues shouldn’t have to re-argue last month’s ruling. That’s a strong indication that several of the Third Circuit’s judges believe that there might be problems with the latest ruling, in terms of how it might contradict that issued in the earlier case. Such intra-circuit “splits” (conflicting and incompatible rulings) are among the few reasons for which an en banc hearing is normally granted. The upshot: Despite the long surface odds, New Jersey’s ongoing legal effort to de-fang PASPA isn’t quite over. It now seems likely that even if the case is not accepted for en banc review, that a write of certiorari to the US Supreme Court is another logical step. And we’re likely to see developments in the case stretch well into 2016 as a result.